Good Samaritan Christian Academy, a ministry of Good Samaritan Lutheran Church, was born in prayer by Pastor Dave Miller forty years ago. There was much excitement and joy over our Lord’s faithfulness when in January of 2008 the church relocated to a newly constructed campus. 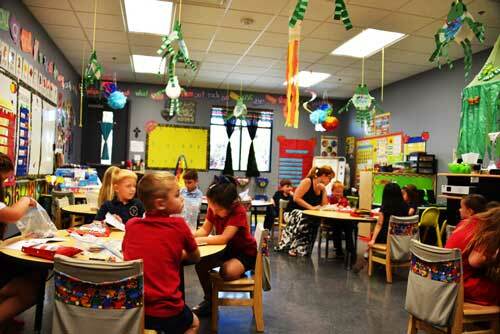 Good Samaritan Christian Academy came to fruition opening its preschool with 16 children. Each year God’s blessings have been evident in our spiritual and numerical growth. In 2013, we continued our expansion with our new Educational building (Kindergarten through 5th grade) at the request of our parents. As we look forward to our future, we know that God will continue leading and blessing us as He provides for this ministry of the Church.